What an amazing night when James House came to Drax. Capicity audiance and a brilliant night. New deal struck with the Humber Royal Hotel in Grimsby. Samanddance has a new weekender event at this hotel. Great 4 Star accomadation. Renound for its good food. What a great event room with a brilliant proper dance floor. Off we go tomorrow on our London weekender in our Luxury Pulman Coach. Please for give us for what we are about to unlesh on the capital. Almost time for our Skegness weekender only a week to go. 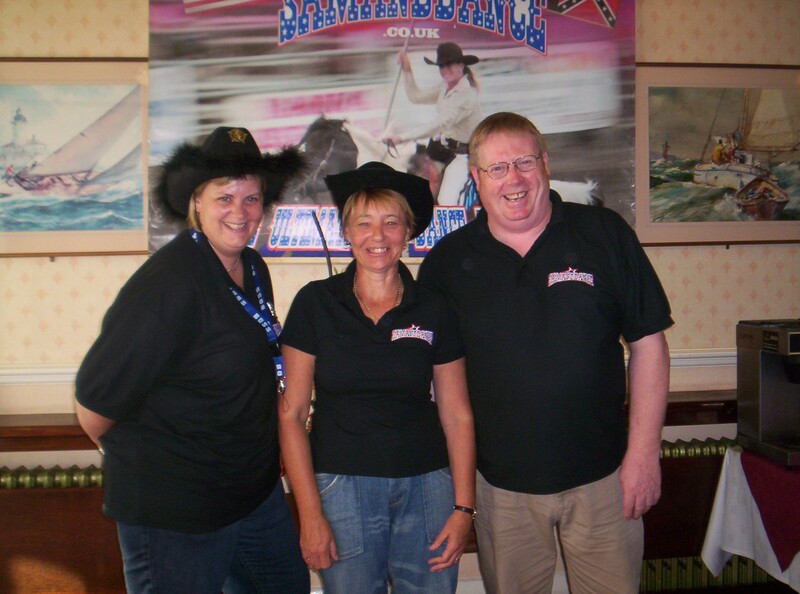 Samanddance have just announced the next year it will be launching a new Ultimate Linedance Weekend. Coach travel included picking up in York, Selby, Goole. Travel down on the Friday to Waltham Abbey Merriott Hotel with a full entertainments package. Dinner bed and Breakfast. Saturday trip into London for the day returning for another night of entertainment. Set of home on the Sunday morning calling for Sunday Lunch half way home before returning you to your original pick up points. All for £165.00. All sorts happening. Just getting ready for the fantastic South View weekend for next week. All the artists are now booked for the full programme of next years events. Ticket sales for Towerfest are flying along. Christmas dinner dance has almost sold out. All going well. Towerfest seeing record bookings. Laceby almost sold out and our Drax Monthly Club gets more people each time. So come along and join in all the fun. Our October weekend goes on general release next week. Just returned from yet another fantastic Samaddance weekend away. Great food and great entertainment. Our thanks to Dave Sheriff and Magill for all their hard work. Thanks also to all of you who attended as some of the outfits for our two theme night were brilliant. New events will be on the site later this week. Yet another fantastic night Sur were on fire. Putting on a brilliant performace making it easy to see why the have been voted at th BCM Awards the coverted position of duo of the year. What a run we have now upto Christmas look forward to seeing you all soon. Samanddance Friday nights start the new season with a visit from Calico on the 17th July. Towerfest was a fantastic success this year and we are already getting ready for 2010. The artists will be released on the Towerfest site on the 1st August so hurry to start booking.